Apple will start mass producing its new iPhone model with a bigger screen in July, according to a report from the Japanese publication EMSOne, which cites a report out of Taiwan. 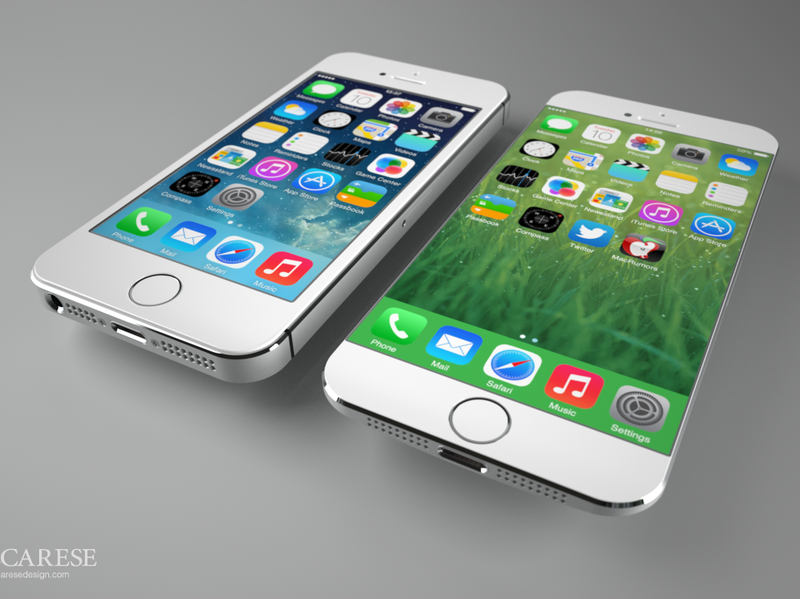 The so-called iPhone 6 is said to have a 4.7-inch screen, which is larger than the 4-inch screen on the iPhone 5S. Apple is also reportedly working on an even bigger iPhone with a 5.5-inch screen, but that device won't go into production until the fall, according to the report. The devices will launch in the fourth quarter of this year, according to the report. Although it sounds like the 5.5-inch model will launch a bit later than the 4.7-inch model. The news backs up a report from Reuters last week, which also said Apple will start making the new iPhone with a bigger screen as early as May. Apple's competitors already make phones with larger screens. The new Samsung Galaxy S5 has a 5.1-inch screen and the HTC One has a 5-inch screen. Samsung also makes a "phablet" with a 5.7-inch screen.